Licence upgrade in an Automatic Truck: How does this work? This course is for new truck drivers, tilt trays, drivers of motor homes, small school buses, pony club and smaller delivery trucks. 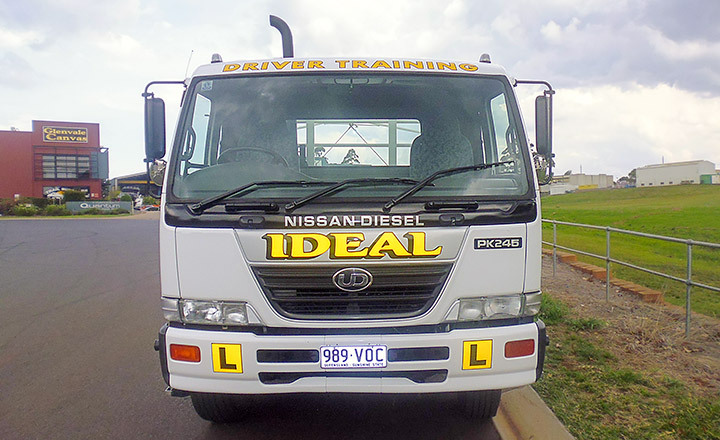 Call Ideal now and see which course best suits your driving needs. More than 8 TON GVM (2 axle only). We supply you with pre-licence training, as well as road rules updates, so you are well prepared for your driving test. Queensland Transport requires that the student has held a car licence for a period of at least one year (1 year). Pass a written heavy vehicle road rules test at Qld Transport. 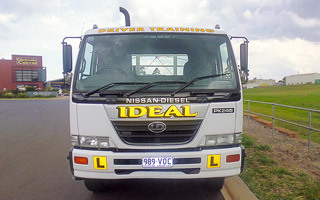 Ideal Driving School conducts one hour lessons and training is competency based. Once the student is competent with their driver licence training a practical driving test with Queensland Transport can be booked. The student will complete the test in the same training vehicle with the Queensland Transport examiner. Ideal Driving School conducts lessons Monday-Friday 7am-5pm and also on Saturdays from 7am. All Saturday lessons are required to be pre-paid. We suggest that students do one lesson per week or even a two hour block, depending on their availability and budget. Lessons required to attain a licence. On average the number of lessons for a person who has never had truck driving experience (a raw beginner) is approximately 4, plus an hour for the test. This is for the hire of the truck for one hour whilst undertaking the Queensland Transport test. OR Try the “Licence in a Day” program: 4 hours training & test, all in one day. Note: This is an indicative figure only and cannot be taken or read as a quote.